I spent a good half hour the other day walking through the Easter aisles at Target. So many cute things! I love Easter decor mainly because of the soft colors–really makes you feel like Spring is just around the corner. 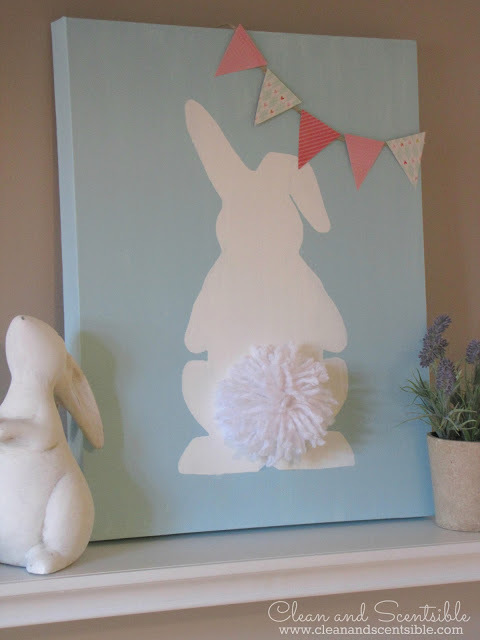 And so I love the soft colors used in this adorable Easter Bunny canvas from Clean & Scentsible. The addition of the 3D pom pom tail is great! You can find the full tutorial here.